When it comes to home decor, there is an idea and style for everyone. All it needs is the right inspiration to create your dream bedroom. I am gonna share Bedroom ideas to decorate and design your master bedroom in this post. 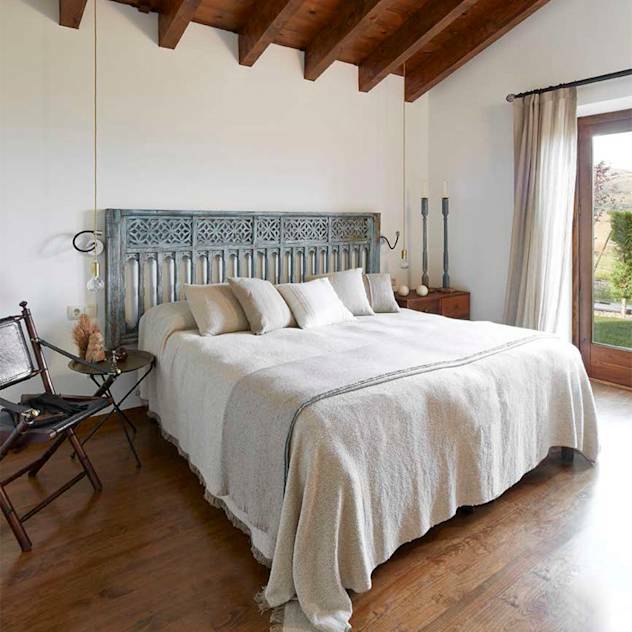 Your aim is to turn an ordinary room into a peaceful sleeping space. Say goodbye to the boring old room and transform it into a relaxation haven. 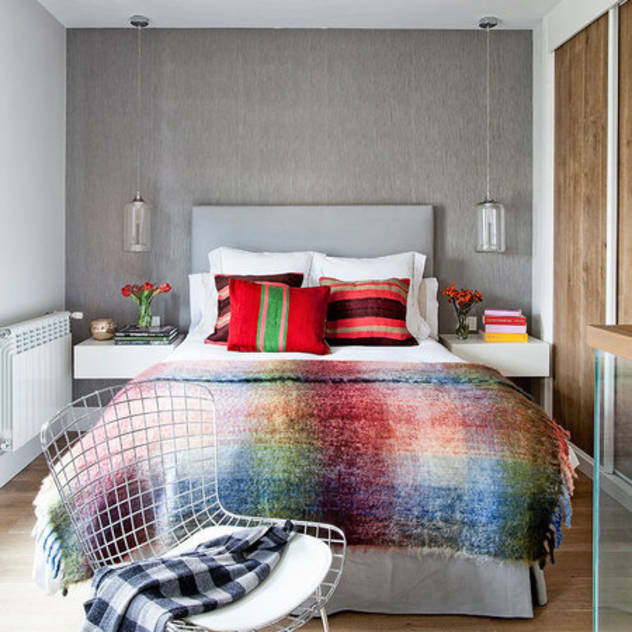 Mix together different color, pattern and prints to makeover your bedroom into a dreamy space that you will love. First of all you need to choose a bedroom design that will accommodate your daily needs. Choose from designs like traditional, colonial, modern or contemporary. Fix a budget for the overall design. Browse for the variety of furnishing items online as well as offline. If you do a bit of research and make use of the offers available in the market, you can grab beautiful items at a discounted price without compromising on the quality part. If the paint is old, repaint your bedroom with your favourite bright shade that reflects light well. Purchase a queen/king sized cozy bed with a luxurious feel. Beds with storage are more preferred these days. The bed should really stand out on its own. Put a foam mattress of perfect size. Cover the bed with a satin bedsheet. You can choose complementary colors when it comes to bed linen. You can explore various prints too like floral, geometric, tribal etc. Don’t be afraid to experiment with new ideas. Pile on the pillows, throw pillows and cushions. You can combine large ones with small ones. For that extra indulgence and snuggling, add a comfy super soft comforter. It gives you warmth during chill nights and adds an aesthetic to the design as well. Never shy away from mixing odd designs. A blank wall will add an empty feel to the room. Hanging a graphic or using a decal/painting is the best solution to this issue. You can frame your couple photograph, your or kids photograph even. You can even go ahead and keep a family tree. The idea of having a separate dressing room near your master room makes once jump with joy. Think of dressing room ideas to beautifully organize your Closets and Makeup. Having a separate dressing room near your master bedroom will give you lot of space and freedom. Invest in a side table. You can go for two similar side tables or add one side table and stool, chest of drawers or book shelf for the other side. You can stack the books for a neat look. Go for an arresting modern-shaped table lampshade. Look out for wall mount ones, floor based ones or hanging ones to save space. Equip the shade with a right lamp to tune the light for reading or relaxing. Reveal your personal side using various accessories like wall clock, show pieces, mirror, flower vase, pen stand, bottles and serving sets. Your bedroom should reflect your personality and not just the design principles. Feel free to think out of the box. Add appealing pieces of furniture like stools, benches, pouffes, ottomans and trunk boxes to create a focal point into the room. Use a foot stool or night stand if necessary. Add carpets, runners or rugs to cheer up the mood. Four-by-six feet is the preferred size. A Large rectangle or circle carpet is ideal. If your room is too bright you need room-darkening window treatments that block light and give you some privacy. They also help set an overall style. Try curtains, draperies, Roman shades and shutters that scream sophistication and elegance and convey romantic feel. Look for variations in color and pick the most suitable one. Prom Dresses in Colors !